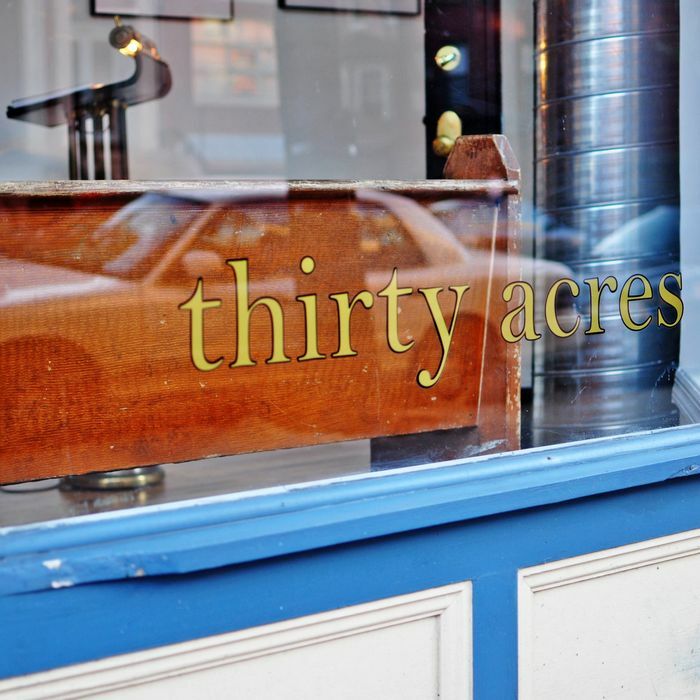 Looks like that Kickstarter campaign worked: Tonight, former Momofuku Noodle Bar chef de cuisine and Craft vet Kevin Pemoulie will open the doors of Thirty Acres, his 40-seat Jersey City spot. Will the restaurant be able to do for Jersey City what a place like M. Wells did for Long Island City? Perhaps. 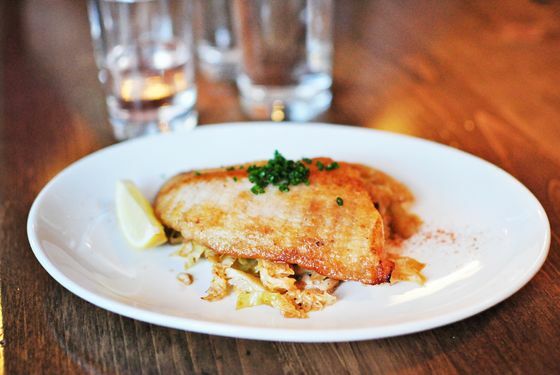 The menu (which you can see below) is heavy on local seafood, and includes dishes like pan-fried skate with Old Bay–braised cabbage; grilled swordfish with ramps and salsa verde; and duck-fat-confited fingerling potatoes mixed with double-smoked bacon, a spoonful of crème fraîche, and chives. Only one thing on the menu (the swordfish) costs more than $20, which might be reason enough to spring for a ticket on the PATH train.